Please join us for our monthly meeting, to learn, laugh, mingle and network. This is especially relevant as there are currently 3 Palliative Care bills that we need your support on. (See article below.) Sometimes the process is complicated and Davin will help walk us through it. We will also be talking about the upcoming National Healthcare Decisions week and strategizing about how organizations can use this national event to get people talking where they work, live and pray. NEW: We have set up a conference call for those who are unable to participate in person. Conference Dial-in Number (712) 775-7100; Participant Access Code 1079885#. 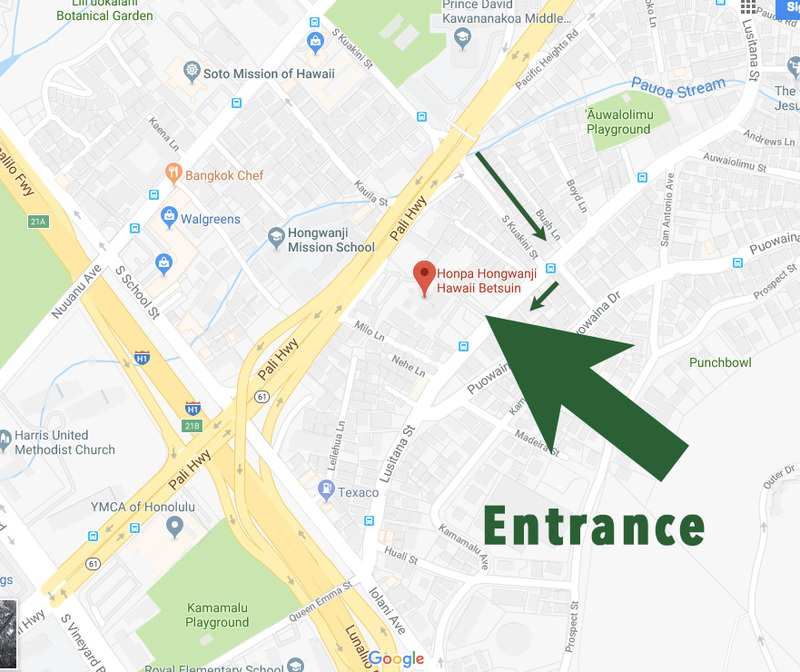 Please access to the temple campus is from driveway off Lusitana Street, not the Pali Highway. There is plenty of free parking all around the buildings on the campus. Map on our website. Take the first right on the Pali Highway after the merge with the H1 turn-off. Take a right on Lusitania and the driveway into the temple campus is to your right. There is a second entrance on the makai side, right after the bus stop, if you missed it. We are grateful for the temple to invite us and host our meetings for 2018. Many thanks to St. Francis for hosting for many years but their campus renovations means the meeting rooms are no longer available.